Personalized print goods can really make your gifts and products stand out this holiday season. Labels, tags and cards can all add a special finishing touch that your clients, employees and customers will truly remember. And creating these custom printed items doesn’t have to be difficult or expensive. Avery.com offers tons of online resources to help you design and print all the items your business needs this holiday season. 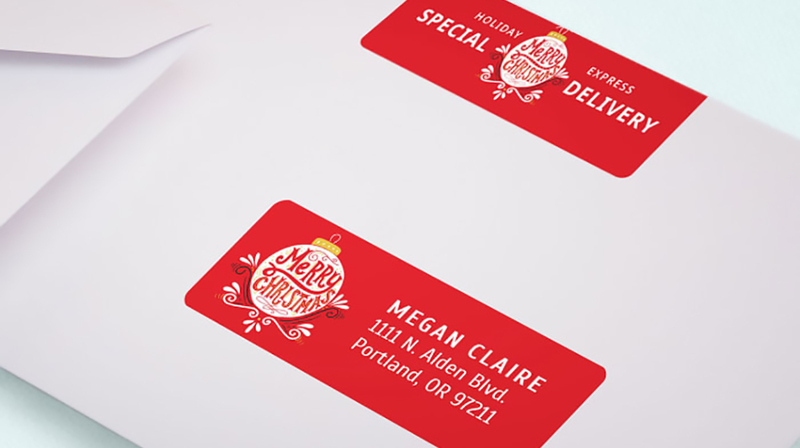 Whether you need basic mailing labels, customized gift tags or full greeting cards, you can design your items right on the company’s website and then print them using Avery products that work with your office printer. Or you can customize designs online and order them directly from Avery. Visit Avery.com/holiday for tips and tools to help you. 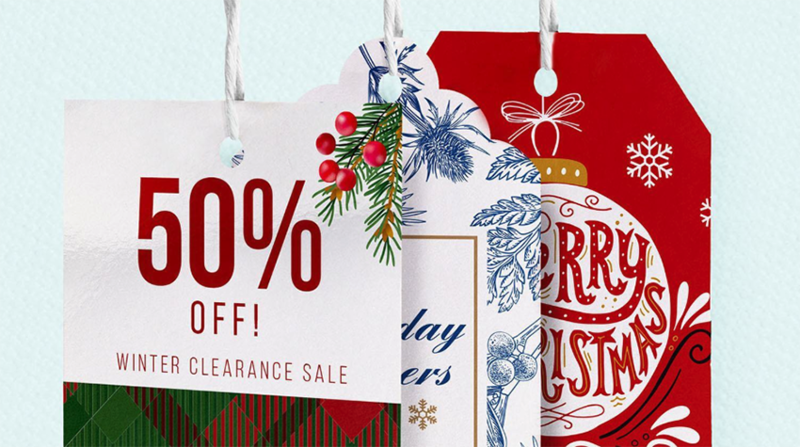 The company even offers tons of holiday templates and design elements that you can use to make your print goods stand out — even if you’re not a professional designer. Here’s more information about the company’s holiday offerings. Any time you’re sending a package or envelope to someone, you need to include a mailing label. 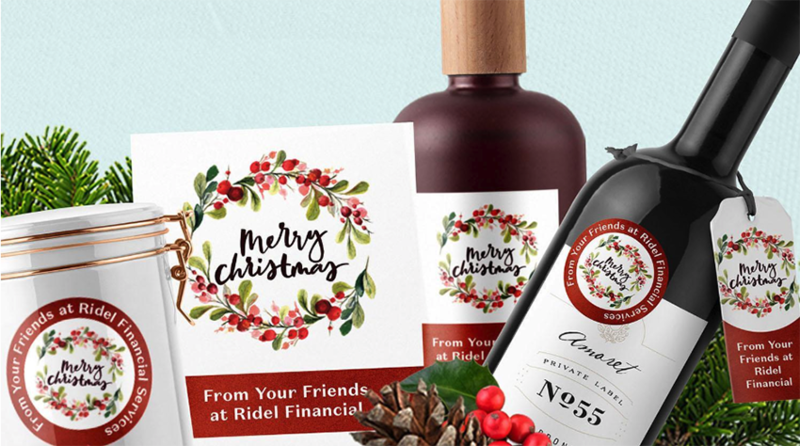 But why just print or write a generic label when you can add customized designs and holiday themes to them? With Avery.com’s label options, you can choose the label style that works with the product and printer you have access to. 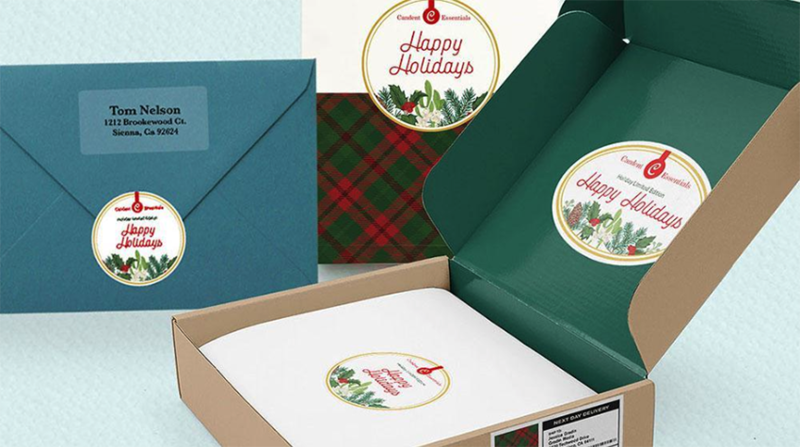 Then choose one of Avery’s holiday themed templates and your address or message of choice. For those who are wary of printer issues that can sometimes pop up when printing label sheets, Avery’s Sure Feed Technology makes their labels more reliable and helps them glide easily through printers, even older models that may be prone to malfunctions. You can also print custom cards to accompany your business gifts or to send out to clients. Include photos of your team or customized messages that convey your appreciation and well wishes for the holiday season. This is your opportunity to share some longer sentiments, so be sure to create a heartfelt message and then back it up with stunning photos and visuals. If you want to add a personalized touch to your business gifts, Avery also offers tags that you can tie directly onto products or gift bags. You can include a short message, a festive design or specify who each gift is to and from. Avery has a variety of shapes and styles to choose from. So you can create a large label that really makes a statement or keep it simple and just add a quick message for each of your gift recipients. Whether you’re looking to print cards, labels or tags, you can find a huge array of products from Avery and then print your customized messages onto them using your own home or office printer. This allows you to streamline the gifting process and save money on custom print goods. However, if you’re in a rush or need a large amount of custom printed items, Avery also offers a mail order option. With Avery WePrint, you can upload your designs online and order specific tags, cards or labels without needing to print them yourself. Since the holiday season is often such a busy time for small business owners, this option can help you streamline the gifting process without sacrificing quality and personalization.